2014 is fast closing in on us and what else is there to do but reflect back upon our 365 days of the year past. For me, 2014 was a bit of a high – as I took on larger than life challenges like the most important Boston Marathon to date as well as pursuing my other new favorite form of healthy exercise, Crossfit. Despite the challenges that remain from my breast cancer battle, the only sense of control I retain is the ability to stay as healthy as possible physically, mentally and emotionally. All three aspects of health are certainly easier said than done, right? Particularly, when you lose someone close to you that battled a different subtype of breast cancer, but lost her battle this year – should it have been you? How do you console the pain in HER sixteen year old daughter when your own sixteen year old daughter clings to you? 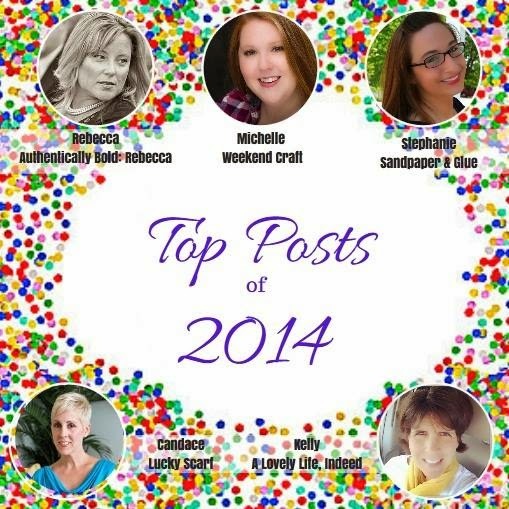 As I ramp up for what I am preparing to be an even more BADASS year in 2015, I share with you my top ten blog posts from 2014 based upon how popular the selections were with YOU. Thank you for following my crazy journey through life. Buckle up and hang on tight because 2015 will prove to be that much more spectacular indeed. Happy New Year’s, my friends! I hope you continue to come along for the many adventures and share some of your own. With that, for more reading pleasure, check out my talented blogger friends over at their respective sites below. These gals certainly are creative with so many DIY projects that I am green with envy. 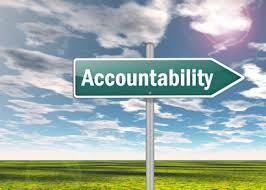 Time to Teach: Accountability – Is It Gone? This week I find myself with BOLD opinions; the very opinions that once fueled the actual name of my blog itself. Intentionally, I will share my thoughts with you on some sensitive and touchy matters currently at hand. I hope you will share your insight as well in return as we navigate the waters that challenge our very basic human rights. As we rolled into Thanksgiving week, you saw Facebook statuses galore about all the gratitude people have for pieces of their respective lives. Recipe swapping was on high rotation and the swirls of Black Friday with retail promises of bargain scavenger hunting were relentless. Thanksgiving week for us in Central Massachusetts also means one thing: FOOTBALL. Yes, we have one of the biggest rivalries that go back over 100+ years. Leominster versus Fitchburg is akin to our own Super Bowl and the traditions that go along with the rivalry may likely be as old. One of our favorite traditions in Leominster is the Thanksgiving Pep Rally, where all of the high school students pile into the wooden gymnasium and watch the insanity while they engage in school pride. Apparently, a long story short, a student from LHS talked about a shooting to happen during the pep rally just a few days before Thanksgiving. Imagine that scene: thousands of students gathered into a small gymnasium celebrating traditions when someone merely mentions the idea of a shooting. 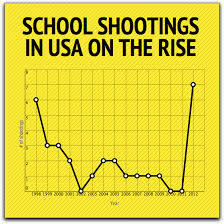 You hear about school shootings on what appear to be a regular basis now; but not in YOUR child’s school. The actual thought made me sick to my stomach and I felt nearly as vulnerable as I did when I brought my first-born home from the hospital sixteen years ago; burdened with the task of keeping her life safe for at least the next eighteen years. School? Isn’t school supposed to be a safe place? 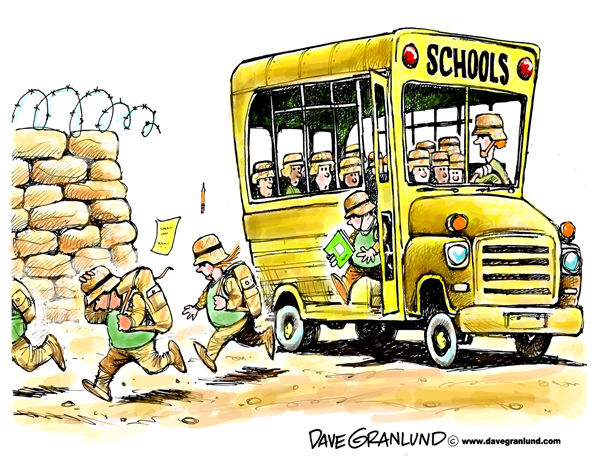 Not in 2014, it seems that school is a vulnerable place to send your child. However, the mall and movie theaters are now both places where murderous shooting rampages have occurred in very recent times. Yesterday, my oldest had her high school go into lockdown. Because of cell phones and social media, we were given unofficial notice of this lockdown with no solid information to base our worry upon. Rumors were rampant and nerves quickly went into fray as details were filtered and exaggerated through the same social media and cell phone dialogues. Within minutes, I knew that a student or students had entered the school wearing ski mask(s) and carrying bags. My initial reaction was fear: my daughter hadn’t answered her text from me and I quickly remembered the aforementioned Thanksgiving threat. Within a short time, a friend of mine who works at the high school let us know that there was a lockdown and all was okay. Later, after speaking with my daughter, I realized the severity of the lockdown and listened to her recount her fears as she had no idea what was going on but saw the dozens of state and local police running through the hallways with their “massive guns” drawn. The school’s explanation of the day is that the Center for Technical Excellence students returned from working outside in their winter gear, entered an unauthorized back door and proceeded through the halls while still wearing their gear. A fellow student was alarmed and contacted his parent, who in return called 9-1-1. Even though this particular set of incidents turned out okay, I asked myself this week, once again, why public shootings, particularly school shootings seem to be on the rise or happening with more frequency. My theory is harsh, bold, but an opinion that allows me to cope with the WHY such violence seems to be happening. I blame the parents. Yes, I do. For my argument, I will exclude the mental health argument as that is one discussion that will stand alone and separate. I understand the mental health issues in this nation are underserved and signs point to the need to address and support the community in this regard. However, my argument here today is directed back to the parents. I am an “old school” parent. I parent firmly, sometimes harshly but with unconditional love. I understand that my children need to be raised with character that they will not only be contributing members of society; but that they will have the best tools in their lives in order to cope and handle their surroundings. I am not a perfect parent; I am far from it. However, my children are raised to do well in school; respect their fellow humans; treat people with kindness; and above all else – my children will own their accountability for their actions, including the words that may come out of their mouths. My theory is we have a generation of young adults who have never been given the coping skills or mechanisms to handle being told no, of being rejected, of having things not go their way. Add in the technology age where instant gratification and a constant connection to everyone and everything; you have a melting pot for spontaneous combustion even when the coping skills are there. Do you remember high school? What an awkward time in your life that is! How many of us faced the badgering of our fellow classmates for one reason or another? How many of us had our hearts broken by our first loves? How many of us were rejected by a crush? How many of us felt inferior, insecure, or just plain not good enough or perhaps out of place? I was bullied as a child (trying being the ONLY hearing impaired and Jewish kid in your small, rural Oklahoma town). I was picked on as a teen (again, trying explaining that hearing aids are very similar to eyeglasses but for your ears). I also made poor choices that led to additional ragging on and badgering by my peers. As bad as that all made me feel, I also knew that there could be no outward display of reaction. I had to cope with the behaviors of others towards me, even if it made me feel absolutely horrible. I had to cope with the consequences of my actions – good, bad, or otherwise. The point I intend to demonstrate is that my parents certainly went to bat for me when a situation was out of my control (i.e. some of the bullying) but otherwise, I was taught to learn from my own battles, to learn from my own mistakes and decisions and handle the consequences there on out. My fear is that way too many parents are too involved and that the younger generations is not obtaining the emotional coping skills needed to function in life. When children are not told no at home or held accountable at home, there is no way we can expect them to cope with being told no in the real world. When things do not go as they expect, they are ill-equipped to handle the emotions of rejection (whether it be in school, job related, socially related, etc.). My inclination is to believe some of these public displays of violence are a build-up of the perpetrator being unable to cope with the overwhelming emotions and hence, he/she acts out violently. I understand this *theory* is a bit generalized and vague; however, a lesson remains to be learned from these recent acts of violence. Our children learn from home; these kids learn by example and by action of us. Love on them unconditionally; however, give them space to solve their own challenges. Offer support and advice but let them figure it out. 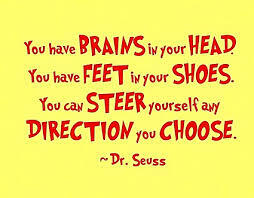 As our children hit middle school and high school ages, it remains very hard to sit back and let them solve their dilemmas. However, there are critical life skills to be learned in doing so. What CAN we do? Teach them how to stand up for themselves in a multitude of scenarios, but let them actually execute the decision that fits them best and let them learn from the experience. Continue to teach them kindness and compassion as they enter these hormone-filled and “strife” filled years. “Be nice!” “Share” “Don’t hit!” “Say Please & Thank You” should not stop once they are past the ornery toddler years. Teach them to stand up for their fellow peers when it is right to do so. Remind them that no matter how badly their broken hearts feel at that moment, with time, broken hearts do heal and we grow stronger from the experience. Teach your children that under no circumstances are violence the answer. Teach them to find a better way to cope. 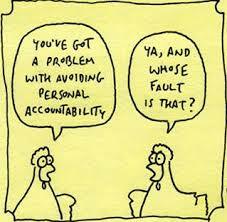 Teach them accountability. Stop blaming everyone else and take a deep look within.